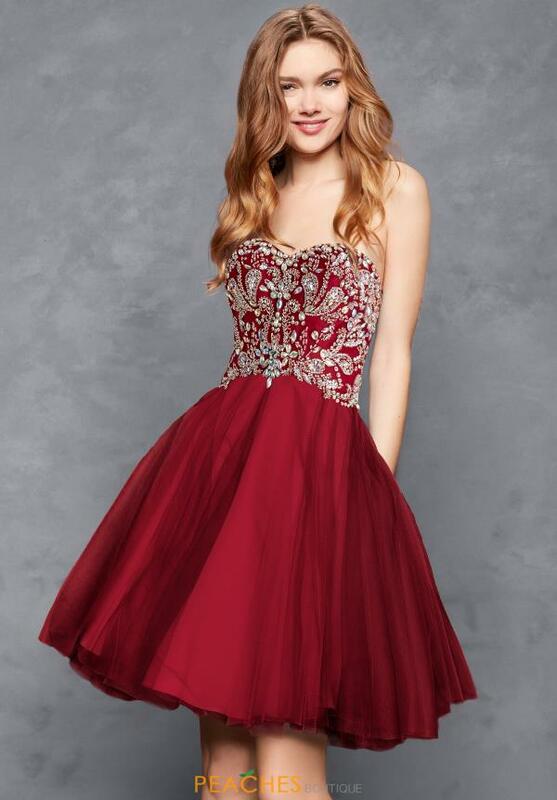 Be the belle of the ball when you walk in wearing this sweet Clarisse short dress S3012. A flattering sweetheart strapless neckline adorns the fully embellished bodice, giving you the ultimate sparkle for your special night. A full skirt flares out from the waistline, giving this look a light-hearted feel. Find your dream dress at Peaches Boutique in Chicago.